Don't be crabby! Entice your friends to come and enjoy the latest tasty catch with our Crab Shack Pub Sign. 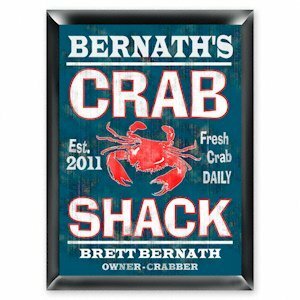 This sign will direct guests to your kitchen or bar and is perfect for a vacation cabin or beach home. It features the name of the owner/crabber and a date of establishment. 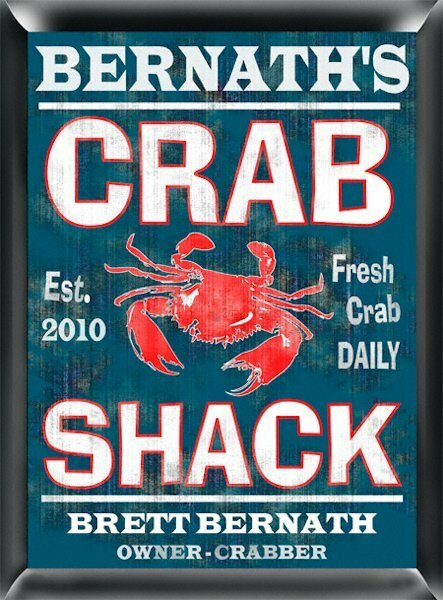 This Personalized Crab Shack Pub Sign has a vintage look with blue background and colorful graphics measuring 9" x 12".